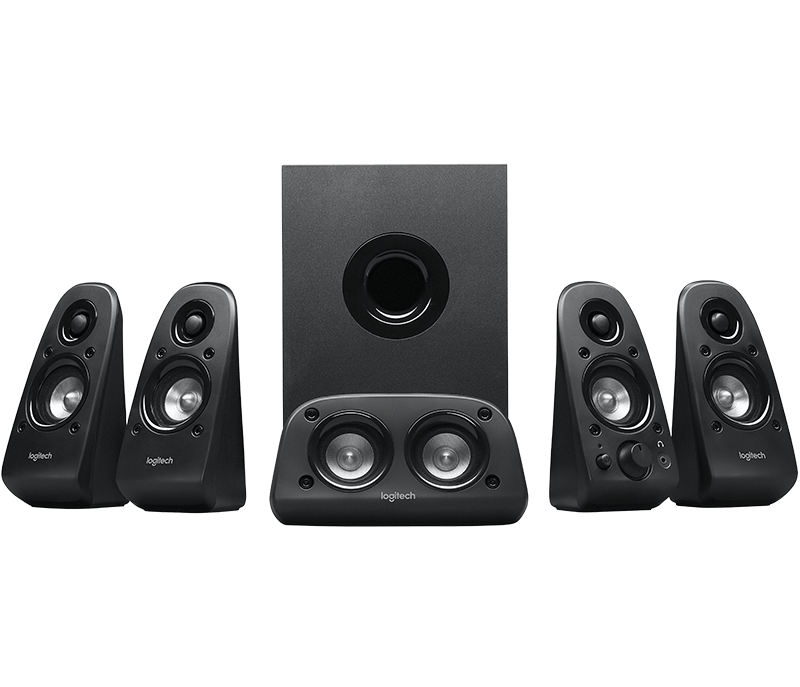 This 150 Watts Peak power 5.1 speaker system delivers deep, rich surround sound. 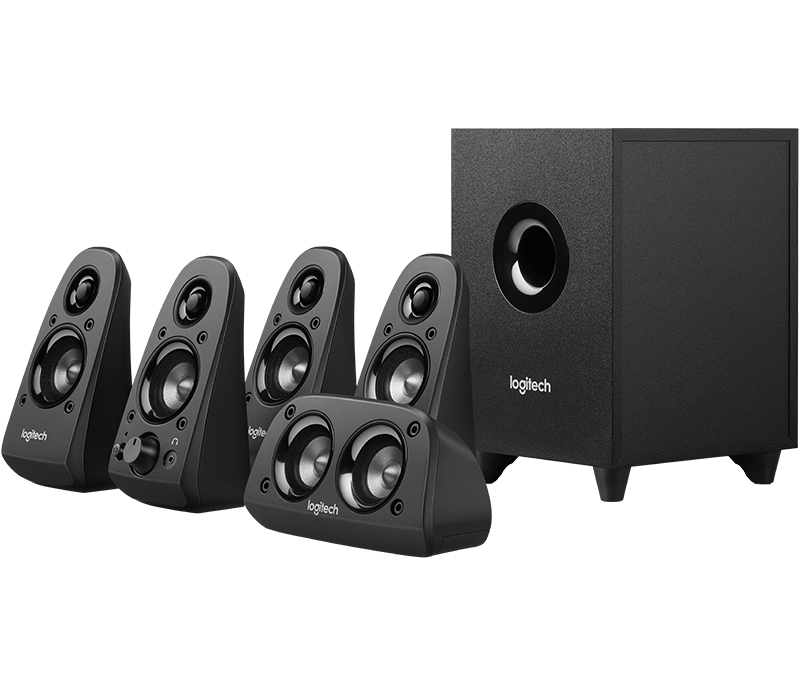 Five speakers plus one subwoofer provides audio you can hear and feel. 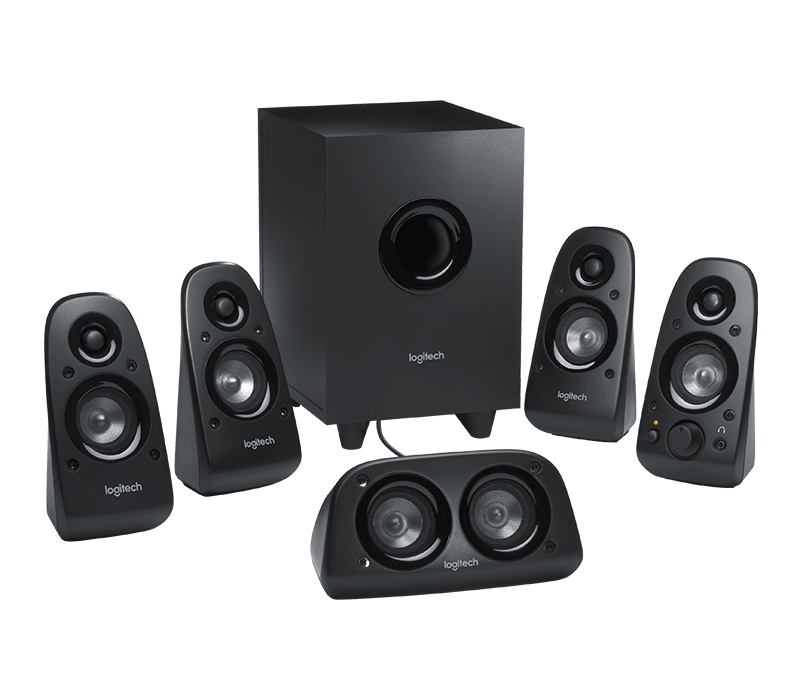 Enjoy true surround sound via six-channel direct inputs using your computer sound card or create 3D stereo surround sound from two channel sources when connecting via the 3.5mm or RCA inputs. 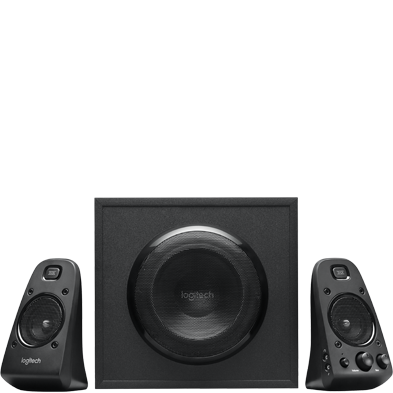 Easily access power and volume on the right satellite speaker. 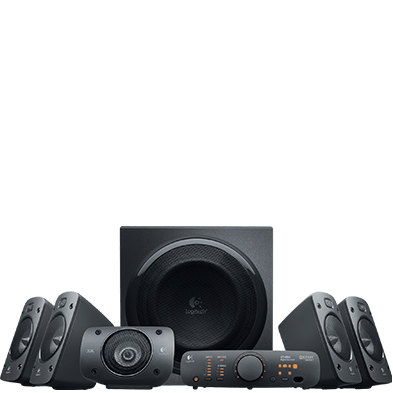 Place yourself in the middle of the action with this 5.1 speaker system that includes left, right and center channels, two rear satellite speakers and one subwoofer. Enjoy an immersive theater experience in the comfort of your home. 150 Watts Peak/75 Watts RMS power system with down-firing subwoofer provides big bold sound to any seat in the room, giving you an audio experience you can truly hear and feel. Supports multiple connection options. 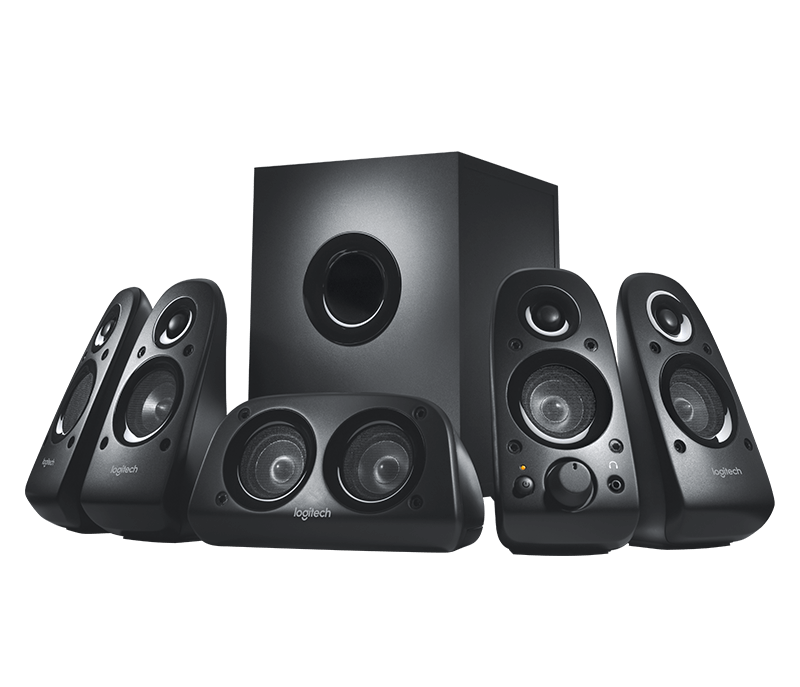 Use your computer sound card to connect via six-channel direct inputs and enjoy true surround sound or connect other devices via either the 3.5mm or RCA inputs, creating 3D stereo surround sound from two channel sources. Connect up to two devices simultaneously. There is no need to disconnect when switching between these two audio sources.